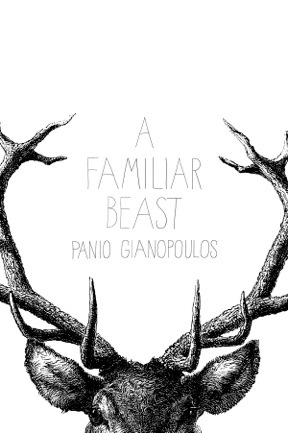 Panio Gianopoulos is the author of A Familiar Beast (Nouvella Books). A recipient of a New York Foundation for the Arts Fellowship, his writing has appeared in Tin House, Northwest Review, Salon, The Hartford Courant, The Brooklyn Rail, FiveChapters, and The Rattling Wall, among others. 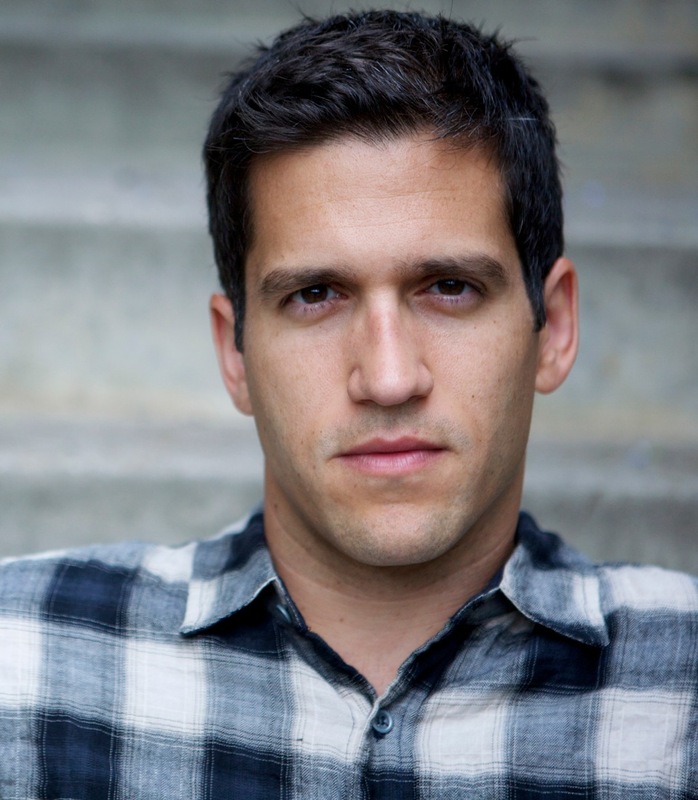 I spoke with the Los Angeles-based author about why he chose the novella form, the likeability of his protagonist, and what draws him to quiet, subtle stories. How would you describe A Familiar Beast to someone who hasn't read it?" A Familiar Beast is the story of Marcus, a man recently disgraced and reeling from divorce, as he searches for redemption. Out of desperation and loneliness, he goes on a hunting trip with a friend he hasn't seen since high school, and the book follows their strange and darkly comic weekend. Your protagonist, Marcus, is a man who should be easy to hate, yet despite having an affair while his wife is pregnant he remains sympathetic and, in fact, easy to relate to. Were you ever concerned that your audience wouldn't be on his side? I did worry about it a bit, about losing the audience's sympathy or, at least, its open-mindedness. Marcus is a mess -- he's acted selfishly, carelessly, desperately -- and in many ways he's been a mystery to himself. I think the sincerity of his confusion and the depth of his remorse soften him. And he is wounded. Yes, he's perpetrated some cruel and unwise things, but he's not walking away unscathed. Why did this story feel most at home as a novella instead of as a novel or a short story? I liked it as a novella because the form offers the emotional breadth of a novel with the economy and quick pacing of a short story. I wanted to give Marcus the room to reflect, to stumble and to squirm, to crash into other characters like Edgar and MaryAnne and deal with the unusual consequences -- but also to keep the pacing taut and a dramatic end in sight. Additionally, Marcus is on a journey of self-discovery, and a journey like this takes some time. It can't be rushed. Not that he completes his journey by any means, but A Familiar Beast covers what one might call his first insight. Your writing falls in the realm of quiet-but-seething domestic drama. What about these stories and situations draw you in a way that louder, more pulse-pounding ones don't? I've certainly written characters and stories that were more extreme, more volatile and loud, but it's true that I have a predisposition for the quiet, desperate burn. I like when tension comes from within -- Faulkner's "human heart in conflict with itself" -- and I also like to slice away at a relationship that seems fine to reveal the bloody torn muscle underneath. I remember, as a teenager, when I first read Who's Afraid of Virginia Woolf, I was in a state of orgiastic disbelief at the frustration and the contempt underneath the surface. The challenge, of course, is to find the pain without forgetting the tenderness and love that once accompanied it. It's so easy to turn a domestic drama into a series of indignant screeds. When Marcus thinks back on his failed marriage, it's the moments of kindness that twist the knife the most, the awareness of what he's lost. MaryAnne would probably be considered a minor character in the scheme of Marcus' life, but she sticks with you as a reader. She's brutal, and it's hard to determine if she's brave or cowardly. Can you talk about the process of creating her character? I brought MaryAnne into the story with an intellectual intention -- she was supposed to be a punishing stand-in for Marcus's wife, who drops out of the story early on -- but then I really liked her and wanted to see more of her. I rearranged things to allow her re-entry and was glad that I did, as the conversation she has with Marcus in the diner felt, to me, like an important moment of disclosure for both characters. It shows Marcus's dangerous longing to be admired, as well as the hapless moral masochism in which he's engaged; and it shows MaryAnne's self-defeating unwillingness to soften. I thought she might give in at one point, open her heart a little. I even briefly toyed with the idea of having her and Marcus end up together, but it was so anti-MaryAnne I couldn't even write it as a test. She is not a happy-ending girl.